About a year and a half ago, I wrote about my experience using soap nuts. I’ve been a happy user ever since. 1. In my experience, they’re just as effective as commercial detergents. 2. They’re inexpensive. Depending on the size of the bag you get, it’s possible to spend half as much on laundry with soap nuts as you would conventional detergents. Many people think safer alternatives have to be more expensive than conventional ones, but the opposite is actually true! 3. They’re environmentally-friendly. All you’re using is the lightweight shell of the soap berry, found primarily in Nepal and India. They are easy to grow organically. So basically you’re throwing organic fruit into your wash, which you can then compost. How is that not awesome? 4. With soap nuts, there are no worries about toxic chemicals. I’ve discovered that my hormones are very sensitive and easily disrupted by certain chemicals commonly found in cleaning and household products (to the point where I have trouble getting pregnant.) I do NOT want to mess with my hormones (or those of my family members), and soap nuts are the safest option I’ve found. 5. They leave no smell on our clothes. My husband and I are pretty sensitive to scent, especially synthetic ones; but soap nuts leave absolutely no smell on our laundry, which we love. A chance to do my laundry for free and try out some wonderfully natural cleaning products? I took it. To use it, you just use the pump dispenser to pump 2-3 squirts of liquid into your laundry, just like regular liquid detergent. 2. No need to fish out the baggie of soap nuts before tossing the clothes in the dryer or taking them outside to hang on the line. This is so nice when you’re used to playing find-the-soap-nuts after every load. I guess the Green Virgin folks had some Science performed on the liquid to determine that it’s even better at cleaning laundry than raw soap nuts, but I confess I didn’t notice a difference . . . both do a great job getting out body odour, toddler stains, and everyday messes from our laundry. I am not missing my store-bought detergent one bit. (This is how we dry our laundry indoors, FYI). Unsurprisingly, this awesomely-convenient liquid does cost a bit more than raw soap nuts. But as you will see, it’s still a very economical choice compared to its major competitors. Moreover, soap nuts and soap nuts liquid naturally soften clothes, so you don’t need fabric softener. I haven’t used it in years. There’s more cost savings! 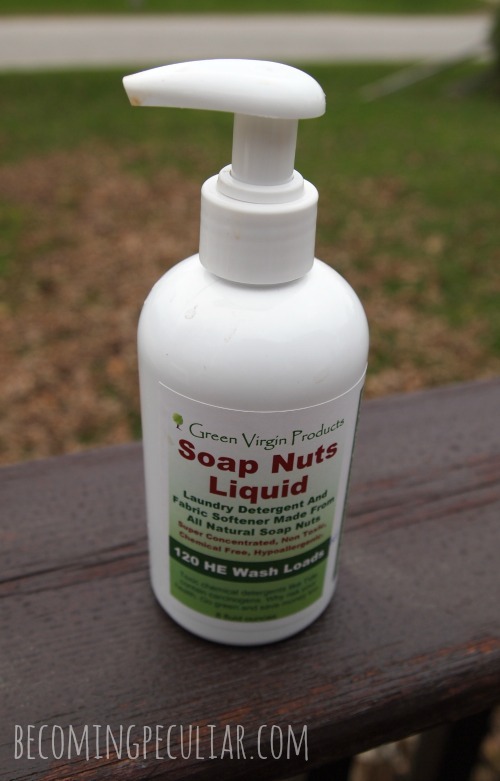 So if the choice is between Tide and GVP’s soap nuts liquid, it’s still a no-brainer: soap nuts liquid is a much safer, healthier, greener choice, that is every bit as convenient as the competition, and for similar or slightly lower cost! It’s a great option for those looking for natural solutions but who are not quite ready to throw bags of nuts in their laundry. But if you want all the goodness of soap nuts, don’t mind the minor inconvenience of counting nuts and keeping track of washes, and want the most economical option, raw soap nuts are probably your best best. Either way, give Green Virgin Products a visit! Green Virgin also sent me one of their all-natural prespotter bars to try. Luckily, I have a three-year-old, so it wasn’t hard to find an item with a stain that would need some special treatment. 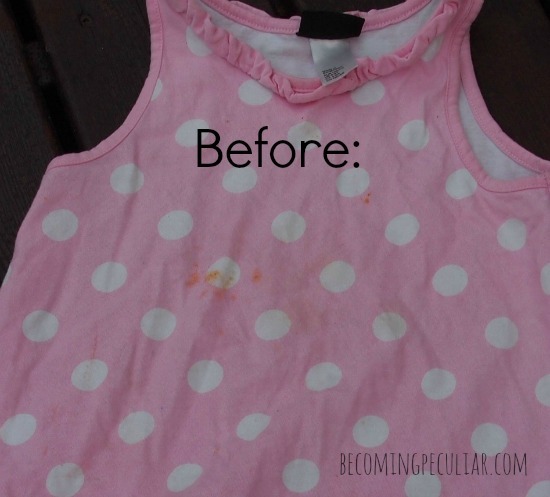 This dress came out of the wash with this orange stain still on it. Not sure what it came from . . . I think it was pumpkin risotto. So I followed the instructions provided on the website for treating stains: I moistened an old toothbrush, rubbed it against the bar, and applied it to the stain. Then I ran it through the wash again. Test #2: I’m also expecting a baby in the next few weeks, and wanted to get some newborn clothes ready for the big day. Naturally, I only want the cleanest, safest things against my new baby’s skin. 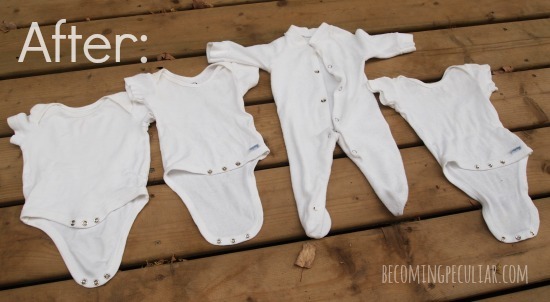 But all of my old onesies were disgustingly stained — all yellow and gross from spit-up. (Thanks, Baby #1). I didn’t want to use bleach or anything harsh on them. In fact, I was tempted to toss them out and just buy new ones. But I decided to try a few different stain removers on them. See how nasty they look? 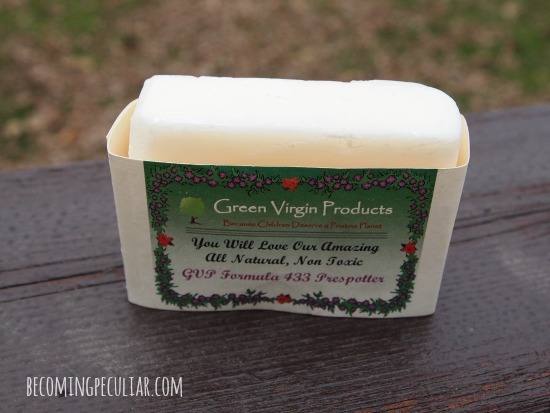 On the first item pictured, I used the Green Virgin Products prespotter bar. I had to use a big scrubby brush because a toothbrush just wasn’t going to cut it. After treatment, I threw them in the wash with soap nuts liquid. I also poured some hydrogen peroxide into the bleach dispenser for good measure. Nice and white! Not brand-new sparkling white, but very acceptably white. (Forgive me — the lighting is different because they’re taken outdoors at different times of day. But you can still see a HUGE difference.) The all-natural prespotter was every bit as effective as the Dawn dish soap version. But it’s cheaper and non-toxic. This bar is just under $7, and I can see it lasting a zillion years. So if you’re placing an order for one of their soap nuts products anyway, I’d say it’s a no-brainer to toss in a prespotter bar and you’ll be set for years to come. 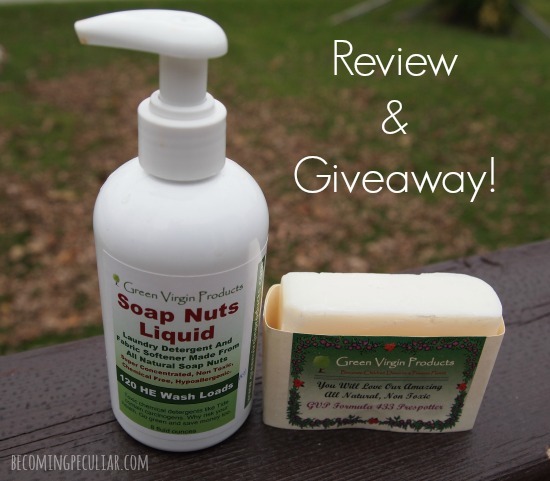 Wanna Win Some Free Soap Nuts Liquid? Bonus: If you sign up for Green Virgin Products’ newsletter you can get exclusive coupon codes each month. The sign up is at the bottom of their home page. I’d especially love to try it on cloth diapers. I’m always looking for what will work best on those. I use my own home made laundry soap, but am always looking to try something new that I don’t have to make myself and is economical and natural. i am so buying this stuff. Thank you Kathleen!! Oh my goodness, I love how thorough you are on your blog, you make me want to try everything you try. lol Well, just from seeing your results, I would love to try Soap Nuts! I have three kids from ages 9 months to 8 years old, and needless to say, we’ve got many stains! I am also trying more and more to find the most economical products out there, which can be such a challenge cause so many people want to sell you something, but so many products are just loaded with ingredients I have never heard of or (not quite sure why they are in a product) that irritate my skin as well as the kiddos. Thank you for sharing! I have been thinking about trying soap nuts, but haven’t gotten up the nerve yet. Trying the liquid sounds like an easy first step. I’d like to try a more natural laundry detergent in preparation for when our baby is born. I’ve been wanting to try soap nuts, and the liquid option seems very convenient! Oh how I love soap nuts but I think I would love the convienance of a liquid even more!! Have been debating soap nuts for awhile now….. Great excuse to try! I would love to try soap nuts liquid! I’ve been using soap nuts for a couple of months now, and like you were i was skeptical also! But they are amazing – they don’t leave a scent but the clothes feel and look fresh! The liquid sounds like it does pretty much the same thing as the soap nuts, but it would still be awesome to try and save some money at the same time! I love the soapnuts and would love to try the liquid! I would love to try it esp. 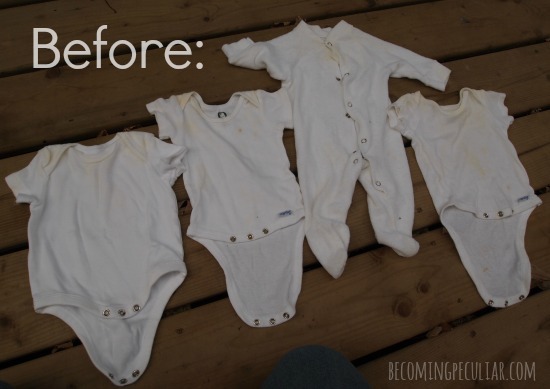 for baby clothes as I’d especially like to keep the borax off those! I have never tried soap nuts, but this sounds so easy and convenient! I would love to try soap nuts liquid. 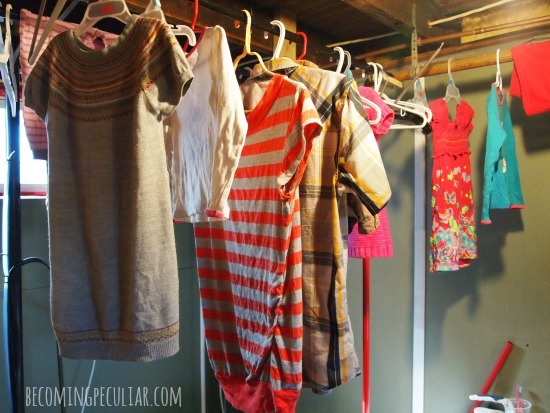 I’ve been eliminating chemicals from our household and the laundry is the last place that I need to tackle. With three boys in our house, good laundry detergent is a must. I have made my own before, but I would love to try this! I would love to try this out. I have been in search of a good soap that is natural and I can still use it at the laundry mat without too many stares. Thanks for sharing this post about these products!! They seem fabulous. I’ll have to talk to my husband about trying this out. :-) So obviously I would love to win a free sample. 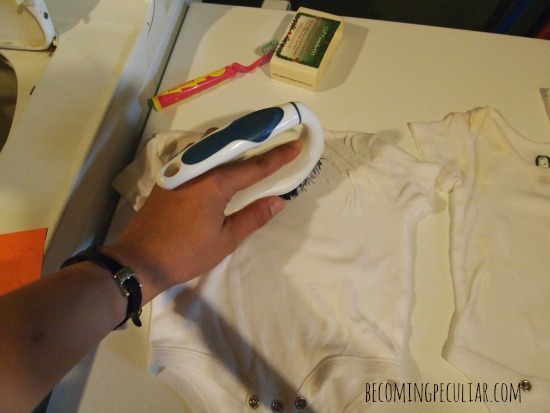 It’ll be GREAT for all this baby laundry that we’ll have coming up soon! You mean I don’t have to hunt out the soap but bag every load??? Done and done! I would love to try this! I have three boys who make lots of messes:) thanks for sharing! We use soap nuts already and love them, I’d love to try this liquid! It would be great if this works well on cloth diapers too! Thank you for the giveaway! I use soap nuts on most of our laundry, but with our cloth diapers, use TIDE, which I am not crazy about. Would love to give this company a try! I would like to use something that is all-inclusive. Meaning, I would not need a separate detergent for a baby. Awesome!! 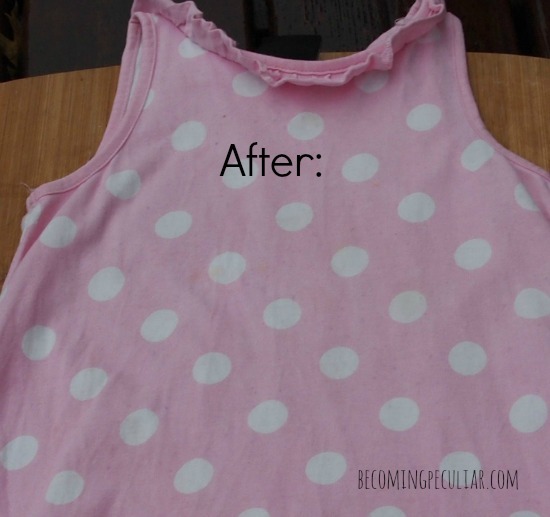 I make my own detergent right now, but I’d be all for trying something new like this! I’ve never heard of doing laundry with nuts before – I feel like that has GOT to be a good story of how someone figured THAT one out… ;-) Thanks for sharing! I’ve never heard of soap nuts!!! Where have I been?!? I’ve been trying every “natural” detergent out there so I would love to try something truly natural like this. Thanks! I’ve heard good things about soap nuts and would love to try this! Always looking for natural alternatives for pretty much everything. =) I love that it looks like it takes out baby and children stains, since we have four children! Definitely like the idea of liquid and would love to try it! We are potty training and I have been doing lots of laundry. I know the soap nut when I was little in China and saw people collected them under the tree. I also played with it since it felt like soap when got wet. Till now I know it is very effective on cleaning as well as so natural. Would like to try for our family with two kids. As I transition to a greener lifestyle, I am now looking for something natural to use for washing my clothes! I would love to win Green Virgin’s Soap Nuts Liquid because I only use natural products for cleaning my home, clothes, dishes, people! I had the chance to use soap nuts a year ago and I loved them! Unfortunately since that time my family and I have fallen into very deep poverty, so any extras are off the list. I hate to admit it, but I usually end up buying the sensitive skin laundry detergent from the grocery store (since my husband and daughters are very sensitive to many of the chemicals in heavily scented detergents.) I stopped making my own detergent when I was diagnosed with a horrible, constantly painful disorder 3 years ago. It’s a good day when I can make a mostly-from-scratch dinner, never mind anything else! I am thrilled to see soap nuts now in a liquid form, and even better that each load of laundry only requires a few pumps. I loved using soap nuts- I’m so glad you shared this new product! Thank you! I didn’t know the soap nuts liquid existed, sounds like a great alternative to regular detergents. I’ve been meaning to try soap nuts for years! I would love to give this product a try. I have always wanted to try soap nuts – this would be a good start! So cool that there is a liquid now! Would definitely be easier than fishing out the nuts, and remembering to count how many times they’ve been used…..
Oh yay! I love giveaways! I’ve been using soap nuts for Evelyn’s diapers since birth and love them. I couldn’t believe it at first but they get any smells completely out! It’s amazing! But I have to agree that the liquid would be so much more convenient — especially since my soap nuts didn’t come with a baggie like they were supposed to so I had to scramble to find a little drawstring bag to use with them. Also, about the bar, I second the first commenter. I totally have resigned myself to living with stains since moving to natural laundry care so something that could help with that would be amazing! oohh, missed this somehow. I’ve been making my own soap for a while now, but I’d love the chance to try soap nuts! thanks! alison recently posted..A fall garden attempt and a year! I would love to try these! Thanks for a great post and review of the product. I’d like to enter the drawing. Can you use this on diapers? Is it good for a baby with sensitive skin? My grandson is prone to rashes and my daughter uses typical detergents.